Head out to anywhere that has a body of water and you?re bound to see at least one person out there enjoying a stand up paddle board. This watersports phenomenon has taken the world by storm, and especially here in the United States thanks to our love for adrenaline pumping activities and access to some of the most varied and beautiful locations on earth. Stand up paddle boarding is an offshoot of surfing and features a paddle board that the rider stands on and maneuvers their way around using a paddle. It might sound simple enough, but there?s quite a bit to this sport that you need to learn in order to master it, and many accessories and pieces of gear. With so much focus on the growing trend of stand up paddle boarding, we?re here to give you a guide to everything you need to know about the water sports. There are countless benefits to enjoy, a number of safety precautions you should take, and some easy techniques that you can learn just with a little bit of practice. Although stand up paddle boarding may seem a little more in depth than some other water sports, the payoff is certainly worth it. Many people know that after just one ride on their paddle board in the open water is enough to turn them into a lifelong addict, and it?s one addiction that will only have positive results on your life. 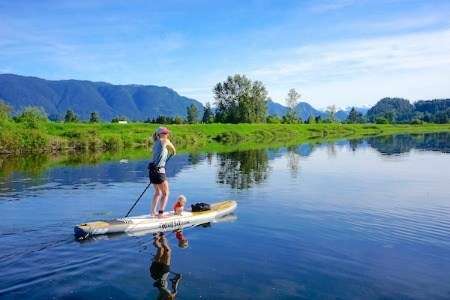 Stand up paddle boarding is one of those things that are hard to determine exactly where it began, and there are many different stories regarding its origin. 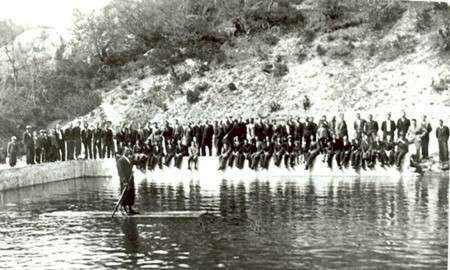 Because riding SUPs is such a diverse activity and has so many variations and styles around, you can?t really narrow down the history of it to one single event. Paddling itself has been around for hundreds of years, and this activity can date back to many different cultures and tribes around the world. However, because this sport is loosely based on surfing, it?s important to note that it likely has Polynesian backgrounds due to this culture being the inventors of this beloved activity. As the village leaders had longer boards, it was common for them to use paddles to get out to sea, and so the use of paddles and surfboards was born from here. Around the 1940s, surf instructors in Waikiki also began using paddles with their surfboards and would often stay standing on them to get a clearer view of the water and shore. From there, this was passed on to legendary stand up paddle boarder John Zapotocky who is known as the oldest SUP boarder today. He practiced this style of surfing in Waikiki and eventually lead it to the modern following that we have today. Since then, the world of SUPs has exploded and so too has the way that we use them. Although many people still enjoy them in the surf of the ocean, they?re also just as popular in other places like streams, lakes, and pools. 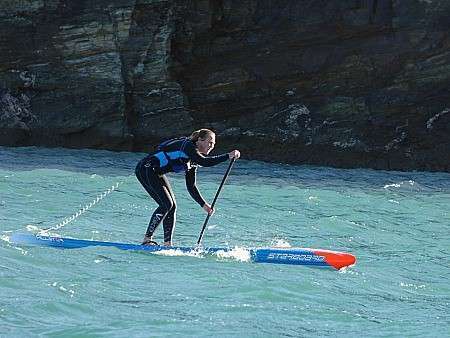 People have even used the stand up paddle board in other activities such as yoga, with stand up paddle boarding yoga now being an extremely popular form of exercise. As the stand up paddle boarding trend continues to grow, it will be interesting to note just how much it evolves. With so many variables to consider, the only two constants seem to be that you use a surfboard style board to stand up on and a paddle to help move you around, and the rest can be left up to your own interpretation. With a bit of the important history now in your mind, you?re ready to learn a bit more about how you can enjoy this sport. 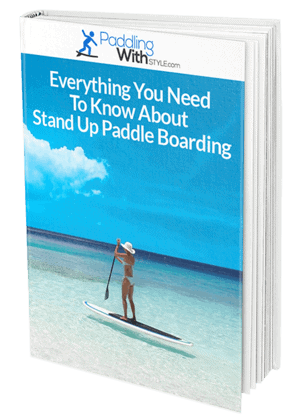 There are many different styles and techniques of stand up paddle boarding, but the basic premise is that you're standing upright on a board and using your paddle to propel forward or move in different directions. Sure, it might seem simple when you?re on land but mastering how to stand up on the board can take some practice. Take your board into calm water deep enough to keep the fin from the bottom and get onto the board while sitting on your knees. Do a few strokes on either side of the board to stable yourself and then use one foot at a time to stand up. Keep your feet parallel to the stringer and ensure they?re facing forwards at all times with a slight bend to your knee. As needed, adjust your weight to keep yourself balanced and engage your core. Many people are scared of falling off their board when the reality is that this is all part of becoming a good stand up paddle boarder. Even the most experienced riders fall from time to time, so you should never fear it. When you feel that you?re about to fall, always try to fall to the side of your board. This will prevent any possible knocks that you might take and hit your board and is the safest place to go that will keep the equipment out of the way. Collect your board first and then your paddle when you?re trying to get back up. Having the right stand up paddle boarding stance is essential, as this is one technique you will always be using. The main thing to remember is that your feet should always be facing the nose of the board. Too many people go automatically to the surfing stance where you?re standing sideways, but this counterproductive to riding a SUP. Feet should be parallel at all times and about hip width apart. This will give you stability and make it easier to perform turns and fall off when required. 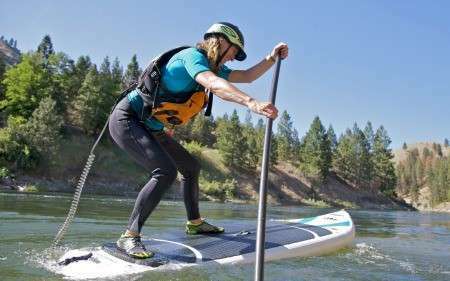 There are a few different ways to use your paddle when riding a SUP, but basically, you should think of it as a lever that can propel you towards different directions. Use your top hand to drive the paddle and your bottom hand to act as the fulcrum point. Try to keep your bottom arm straight and still as you paddle and this will make it easier to stroke. Another helpful point when stroking is to imagine you are buying the paddle deep in the water when you push it down, so get as far down as possible. Think about pulling yourself past the paddle rather than pulling the paddle past yourself, and this will make you a far more effective rower. Your core should be doing most of the work and not the arms, which is a common mistake. Once you know how to do strokes correctly, stand up paddle boarding turns are easy enough to master. If you want to turn left, you basically put the paddle into the water on the opposite side, turn your torso to the left and then paddle. Try to keep your body as low as possible while standing and pull to the right with your paddle and towards the back of the board. At the same time, turn your body to the left twisting and leaning, and these movemenstogether will enable to you turn swiftly. One of the best things about owning a SUP is that you have limitless options for where you can take it. 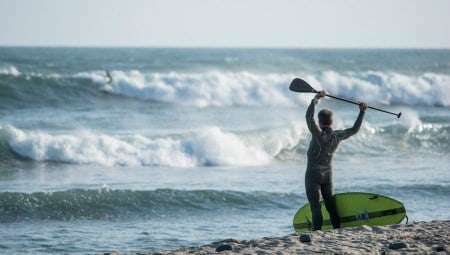 Unlike back in the day where they were mainly confined to the ocean, nowadays people enjoy their stand up paddle boards at local swimming pools to freshwater lakes. Given that we have so many wonderful lakes in America to choose from, many people prefer nothing more than taking their SUP outdoors and into one. Lakes usually have calm conditions so you can practice your moves, or they make for a great way to sightsee around local areas. The ocean is where it all began which is why it remains the most popular place to take your stand up paddle board out for a swim. Conditions can vary from calm to hectic, so always keep an eye on what the day is predicting. There are certain rules and etiquette to follow with taking your SUP through the waves, so do your research first. For more of a thrill seeking adventure with your SUP, you can try some white water rafting. Streams are generally reserved for more experienced riders as they can get quite carried away, so leave this to the experts. Another key thing to consider when taking your stand up paddle board out is the conditions of the water. Everything from temperatures to wind patterns can have a huge impact on the quality of your paddling session, so it?s best to be prepared for anything. For beginners, flat water is essential for learning and provides the safest place to take your time and understand how your board works. Flat water can also be great for longer journeys and leisurely paddling, so this is really a condition that suits all types of SUP riders. Choppy and wavy conditions are best left to those with a bit of experience under their belt, as they can add a whole new facet to the sport. Part of the thrill of learning how to paddle board is learning how to manoeuvre the waves and using them to your advantage to get where you need to go. Different boards are built to handle different conditions, so if you?re unsure where you?ll be spending most of your time it?s best to go with an all around board. 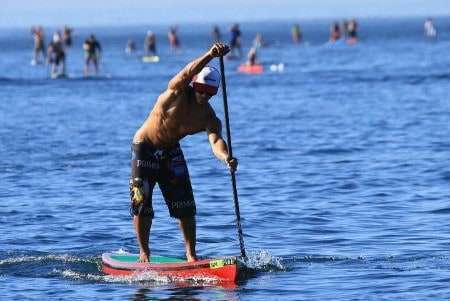 For those new to the sport, you might be a little shocked to learn that stand up paddle boarding can be an expensive hobby to get into. If you?ve never tried it before, there are plenty of ways to hire some great and give it a go before you commit to buying your own board. However, once you do make the commitment you?ll be surprised at just how long a quality board and setup can last. This is by far the most important piece of gear, and one with many variables to consider. There are a few different types of boards to suit different styles of the sport, and you?ll also need to choose where you want a solid or inflatable board. 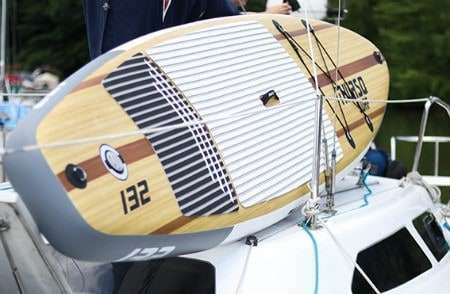 Generally, solid boards are more durable, but an inflatable board is best for those who like to travel or have limited space to transport their board to the water. Some boards come with a paddle included, but if not you can easily shop around for a quality one. The most important thing to consider with a paddle is the length, as one that?s too long will cause extra work for you, and one that?s too short will hurt your back. They come in different materials like wood or fiberglass, depending on your budget and how light you require your paddle. This is essential for any type of watersports where you?re out in the open water, and regardless of your skill level, you should always have a flotation device. If the worst should happen and you find yourself fatigued or injured, a good flotation device can help you get safely back to land and prevent you from drowning. Depending on where you?re heading out and how long for, there are different options for clothing. For a casual paddle, you can just wear protective and waterproof clothing that keeps you covered from the sun and is suitable for the weather. If you?re going out for a day long paddle, investing in a quality wetsuit is advisable. A SUP lease is a crucial part of any paddle boarder?s gear, but there are a few options for how you can wear it. Calf, ankle, and waist leash attachments are the most popular choices and will depend on where you take your paddle board. You?ll also need to consider whether you want a corded or straight leash, with a corded being best for general flat water paddling as it keeps your board close and a straight leash best for in the surf if you want to keep the board away from you during rough waves. There are a few SUP bags to choose from, including storage bags and carry bags. A carry bag should only be used to transport the board from your house to the water, and they?re usually not designed for long term storage. A storage bag will have the adequate conditions needed to protect your board and keep it stored for as long as you need. Depending on how far you live from the water and what?s most comfortable for you, there are a few options for board transportation. Solid boards can be attached to the roof of your car with roof racks and roof pads, otherwise, an inflatable board can be easily transported when it?s deflated. There?s nothing cool about sunburn and skin cancers, so you should always keep yourself and your board protection from the sun. 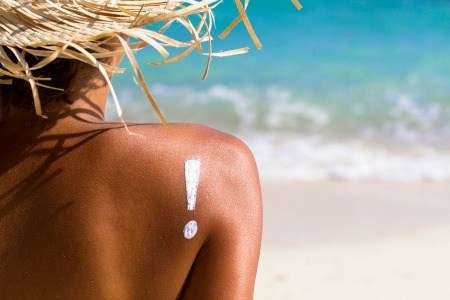 Wear a quality 30+ SPF sunscreen, wide brimmed hat, and sun protective clothing when you?re out and about. Although you might not feel the effects at first, prolonged exposure to the sun can cause a number of health issues and dehydrate you significantly. We all know that stand up paddle boarding is one of the most fun watersports around, but surely there are other benefits too? The reason for the success of this new exercise is because of just how many ways you can benefit from it, and here are just a few. According to Men?s Fitness, stand up paddle boarding is one of the most effective water sports out there, and even just leisurely paddling can burn around 400 calories in just an hour. Paddle boarding requires you to use all of your muscles, and in particular your core, and this is one of the most effective strength exercises you?ll find. There is nothing quite like being out on the open water without a soul around, and taking your SUP out can be a perfect escape from the stresses of life. Studies have even shown that engaging in an adrenaline boosting exercise such as paddle boarding can help reduce stress, so it can even be relaxing when you?re taking on more challenging waters. 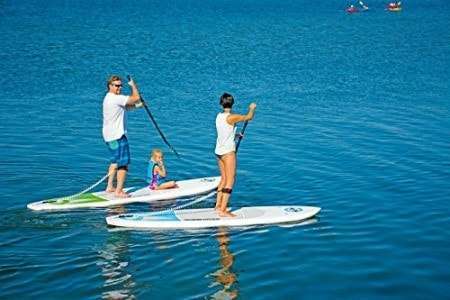 You?ll be hard pressed finding an activity that the whole family can really get into like stand up paddle boarding, and it?s the perfect way to get the kids out of the house and into some fresh air every weekend. With countless places and ways to enjoy your stand up paddle board, there are just many safety considerations that need to be taken. Here are some things to keep in mind before you plan on taking your board out into open water. There?s no need to be out all day if you?re an inexperienced rider, as you can get fatigued within just half an hour if you?re new to the sport. Avoid rough areas where surfers might be if your skills aren?t at their level, and always have a humble approach to where you take your SUP. Particularly in the ocean, wearing a leash is a must have for riders of all skill levels. It can easy for your board to get away from you, and you?re simply making it harder for yourself by having to chase after a board if it?s not attached to a leash. Although it can be relaxing to get out on your own, when you?re a beginner it might not be so smart. Keep someone with you at all times on their own board so you can be an extra set of eyes and ears for each other. The floatation device you choose will depend on where you?re going boarding, but as a general rule, a vest is a great investment. Choose one that?s not too bulky but will keep you safe should you become injured or fatigued in open water. You can read as much as you want online, but nothing will beat taking a lesson from an experienced SUP rider. These lessons can teach you the basics of how to use the board and how to stay safe as you do so. There?s no doubt that the SUP craze is one that will grow in leaps in bounds in coming years, with more and more people joining in this water sports revolution. With all of the benefits available from improving your health to having a fun way to get outside on the weekends, there isn?t much that you can?t gain from taking your stand up paddle board onto the water. A good day out requires a quality board, though, so before you can even get started mastering the basics you should be fully equipped. With the right board for your body type and skill level, you?ll ensure that you get the most out of paddle boarding and will continue to enjoy it for years to come.